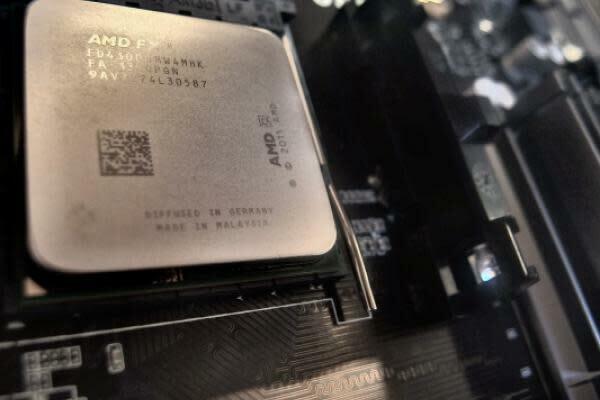 Advanced Micro Devices, Inc. (NASDAQ: AMD) fell about 3 percent Tuesday morning after a major shareholder trimmed its holdings. Abu Dhabi’s Mubadala Investment Co sold 34.9 million equity shares and intends to convert 75 million warrants to common equity shares, according to Reuters. While Monday’s exact selling price is unknown, the stock’s closing rate suggests an $842 million value. Mubadala has owned AMD shares since 2007, but has cut its stake over the last few years. “Today’s transaction remains in line with Mubadala’s overall investment strategy to monetize mature holdings to deliver attractive commercial returns,” Mubadala spokesman Brian Lott said. The perception of maturity isn’t necessarily encouraging for U.S. chipmaker, whose market cap already fails to compete with those of rivals Intel Corporation (NASDAQ: INTC) and NVIDIA Corporation (NASDAQ: NVDA). Mubadala will remain a 6.9-percent owner of AMD after the warrants are converted. The conversion will equip AMD with $448.5 million, according to the investment firm. AMD shares traded at $23.43 in Tuesday's pre-market session.